CrowdVision is a leading automated passenger analytics and insights company. CrowdVision’s video-based people tracking software shows what is happening to an entire passenger population, in real time. This enables airports to act decisively to increase efficiency and profitability whilst improving their passengers’ experience. 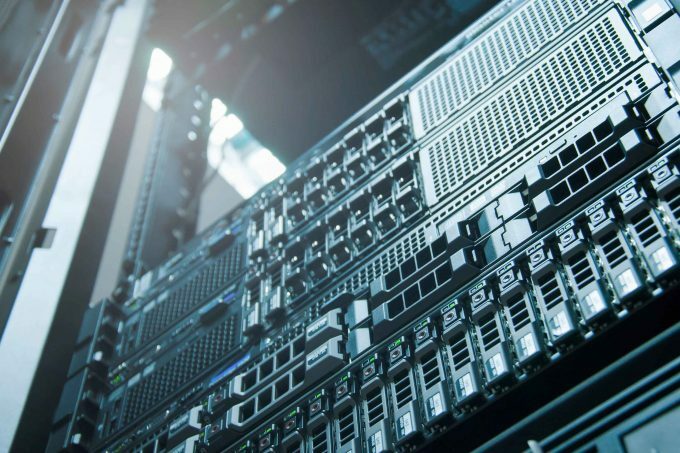 The CrowdVision video analytics solution processes live video input from commercial off the shelf cameras. The people tracking system undertakes passenger counting, queue analysis, and analyses passenger flow automatically using sophisticated artificial intelligence techniques. 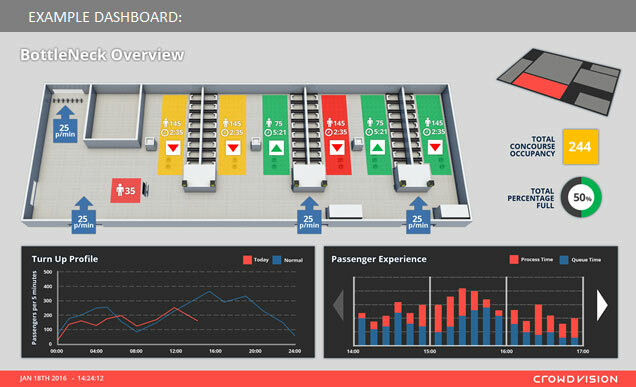 CrowdVision outputs live passenger analytics about everything from flows, queues and wait times to processing times, occupancies, and asset utilisation. 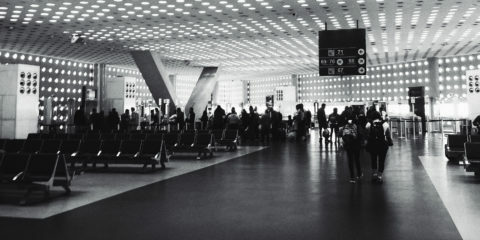 Some airports use CrowdVision’s people tracking and queue analysis to improve checkpoint efficiency. By reducing queues and waiting times, airports process passengers into retail areas more quickly. Other airports use CrowdVision’s passenger tracking capabilities to understand how passengers move around retail and food/beverage areas. By understanding dwell times and retail conversion metrics, airports optimise the value of their retail space. 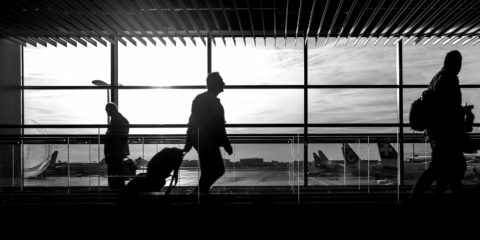 If you are an airport operator, and you care about improving your passengers’ experience as well as your bottom line, we can help provide the passenger tracking data and insights that you need to make better decisions. Contact us today to find out how. 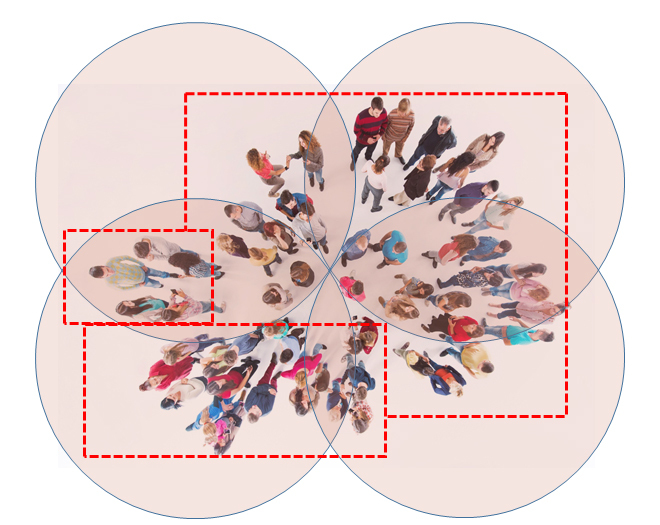 CrowdVision provides granular, real-time passenger tracking data regarding flows, queue lengths and wait times (both expected and experienced); processing times; and asset utilisation (by both passengers and staff). Understanding that passenger tracking data is the first step in optimising staffing at checkpoints, improving queue management and efficiency, and moving passengers quickly and happily into revenue- generating areas. This data also provides opportunities for an airport to build stronger and more effective relationships with its operating partners. 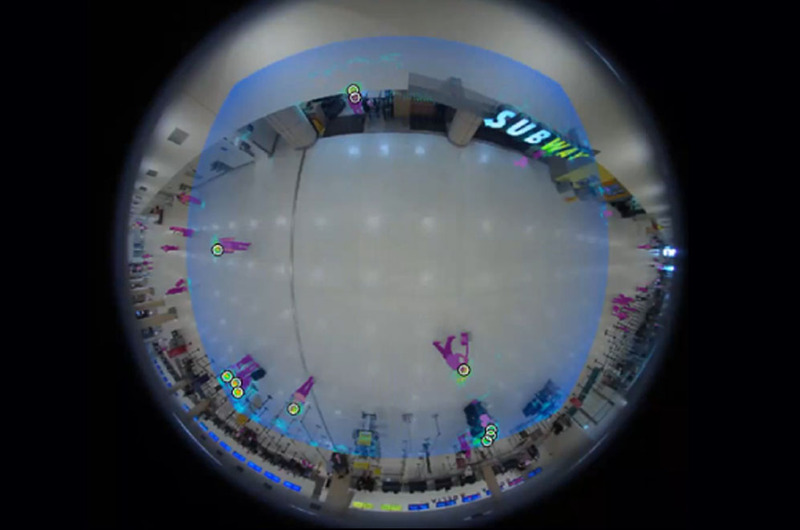 CrowdVision’s data about passengers’ use of retail areas can help an airport optimise rental returns, as well as enable it to partner with retailers to drive sales. Using data about the number of passengers flowing into retail spaces, and about the number approaching or entering particular retail outlets, and combining it with point of sale basket data, enables the calculation of an end-to-end consideration and conversion funnel. 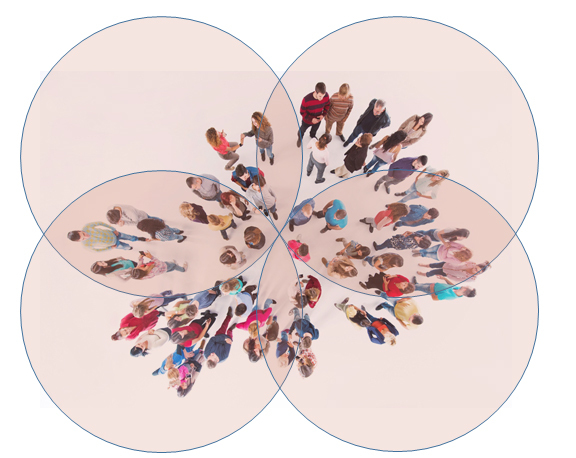 Understanding this funnel is extremely valuable if retail returns are to be optimised. 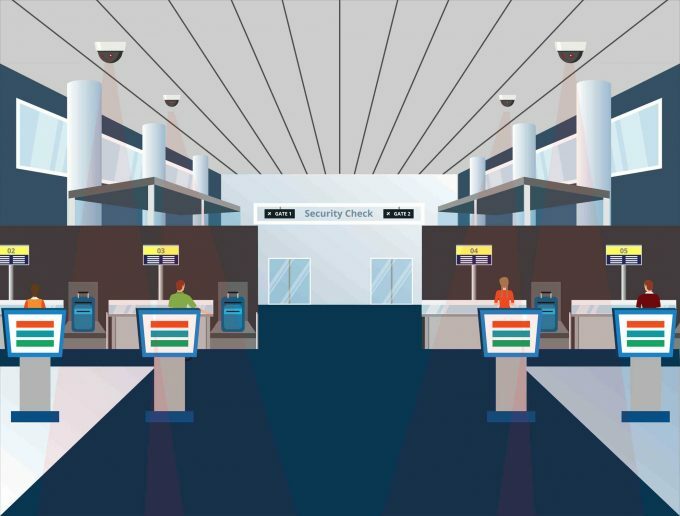 CrowdVision’s real-time dashboards and alerts provide airport operators with unprecedented levels of situational awareness, and the opportunity to manage operational issues by exception, as they emerge. For example, real- time occupancy level alerts can be used to manage safety and security issues effectively. Over the longer term, CrowdVision enables airports to improve the efficiency and optimise the profit impact of assets, also leading to improvements in passenger satisfaction and ASQ score.